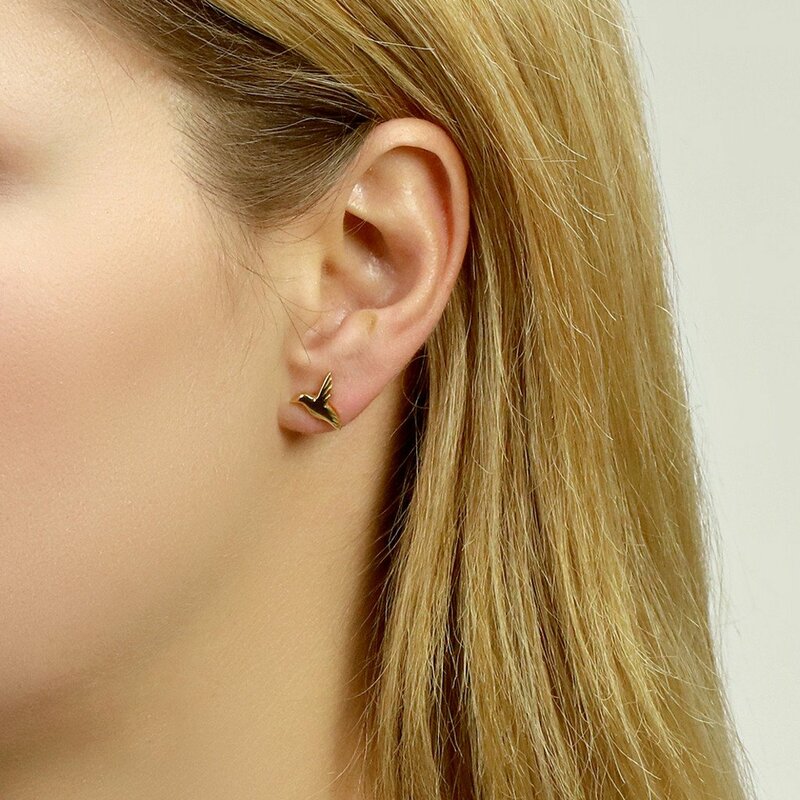 I have teamed up with Jana Reinhardt to giveaway a pair of their beautiful hummingbird stud earrings in sterling silver worth £69. I am quite a new visitor to the Jana Reinhardt website. However I am very impressed with what I have seen so far. So many delightful pieces that I know my nearest and dearest would treasure. I am drawn to the many different animal themes, they are the type of jewellery I would wear. I have a feeling my husband better start saving, I need an owl, fox and penguin to add to my collection! Have a browse on the website www.janareinhardt.com and see what catches your eye. Depending on your budget you can spend a bit more and choose from gold, rose gold, white gold or platinum instead of sterling silver. I think its good that you have the luxury of choice. If it’s a special occasion or you want an investment piece for the future I think it’s worth spending a bit more. My own hummingbird earrings arrived very quickly and were attractively presented in a gift box. They measure 10x9mm and I really love the tasteful design. It’s quite a striking pair of earrings but not too ornate or fussy, perfect to wear every day. The hummingbird is a symbol of seeking out the good in every day. I think it’s nice having that little reminder when you wear these earrings. Jana was born in the same year as me, but she is considerably more creative. Her stunning designs have rightly won many awards since she founded the business back in 2006. Everything is handcrafted in the UK. It is a family business as Jana works alongside her goldsmith husband and business partner Ross Cutting. The talented pair have over 40 years experience. Furthermore that knowledge and expertise can really be seen in their designs. To enter the competition to win a pair of hummingbird stud earrings in sterling silver please fill out the form below by the 26th of February. Please make sure you check out my other open competitions too! what a beautiful pair of earrings to wear on a lovely spring day.